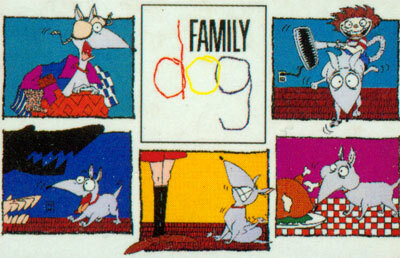 In this innovative title based on the animated series of the same name, you see life through the eyes of an American family's dog. Your first task will be to escape the mischievous young son, who sees you as more of a target than a best friend. You'll have to avoid his barrage of tennis balls and his runaway vacuum cleaner in order to survive the day. Your next stop is Obedience School, where you're confronted by a group of overzealous instructors, and their Dobermans that see you as their next meal. Even if you can escape this heavily guarded compound, you'll still have to make it through a scary forest filled with all kinds of wild animals. Using flips, spins, and barks as your only "weapons," you'll have your paws full of action and adventure.